I never thought the day would come when Toodie would voluntarily take a bath without me having to use bribery of some sort. When she was younger, splashing in a tub full of soapy suds was the highlight of her day. She refused to get out until her tiny fingers and toes were wrinkled. Even then, she couldn’t get enough of that pruning action. Now, at seven going on seventeen, I have to get pretty creative when convincing her bath time is still just as fun as it was back then. A bucket full of squirt toys just isn’t cutting it anymore. Like most kids, there’s many other things she’d rather be doing but once her little body is submerged in a bubble bonanza, it’s a whole new world! If you face the same struggle, there are a few ways you can make bath time less of a chore and more of a party for the littles in your life. The first is a must – buy products made just for them & make sure they’re readily available. You know, the sweet smelling shampoo and body wash bottles that have their favorite characters on the front. This is where Suave Kids®, the #1 kids’ hair care brand, has your back! 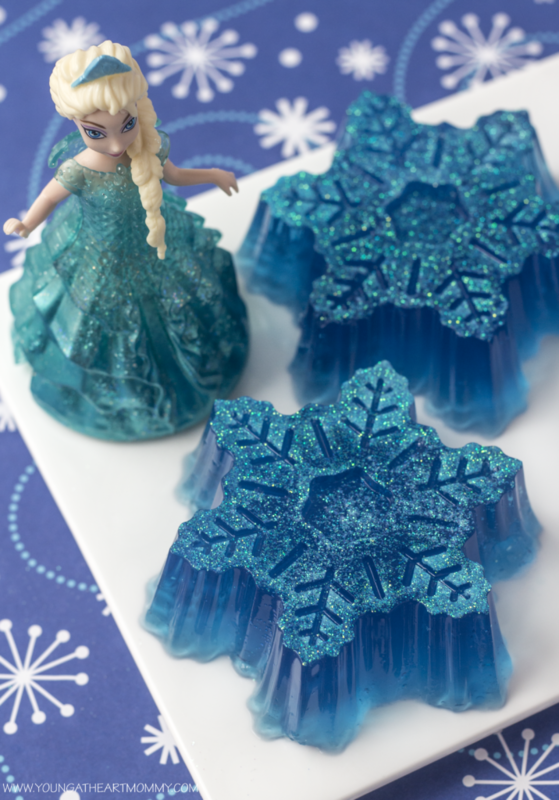 Their new Disney Frozen collection helps makes bath time magical and playful. Made with fresh fruity scents, they’ll be smelling great while getting clean from head to toe. 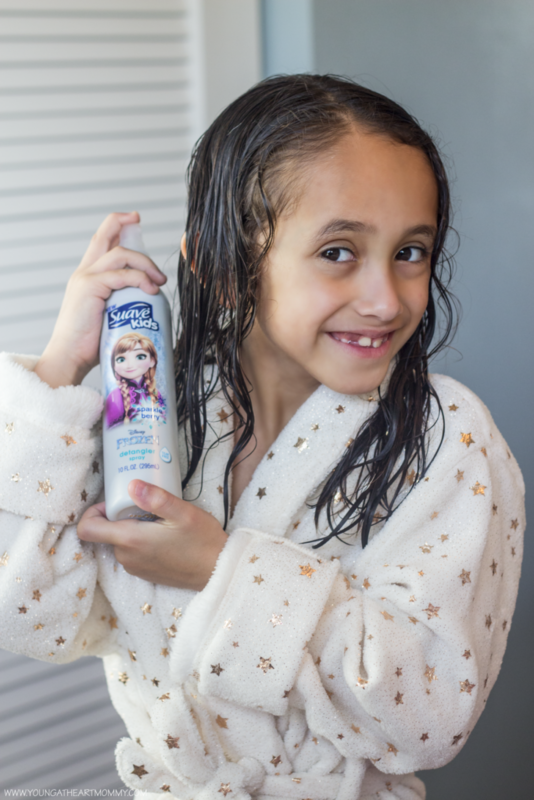 We start with the Disney Frozen Elsa 2-in-1 Shampoo & Conditioner in Berry Flurry and finish with a good scrub using the Olaf 2-in-1 Shampoo & Body Wash.
Not only does Suave help make bath time a breeze, their products are also hypoallergenic and tear free, even the detangler spray. Given Toodie has the most unruly hair, combing it out after a bath can be torturous for both of us. That’s why I spray it immediately and allow the ends to really soak up the product. Her hair is so soft afterwards and I noticed a huge difference in the frizz factor, especially since we live in such a humid state. It’s nearly impossible to control those fly-aways in Florida! 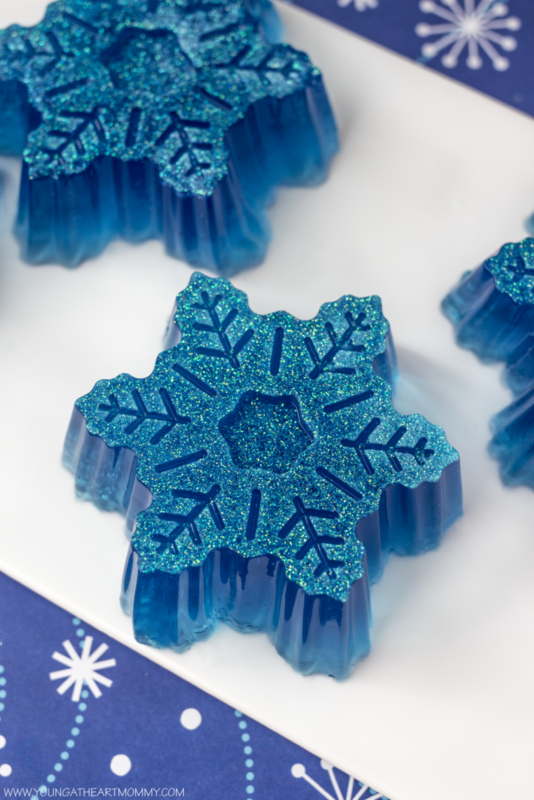 Another way to make bath time enjoyable is to bring a little magic to the tub with these Frozen Inspired Snowflake Bath Jellies, which can be made within minutes using the shortest list of ingredients. 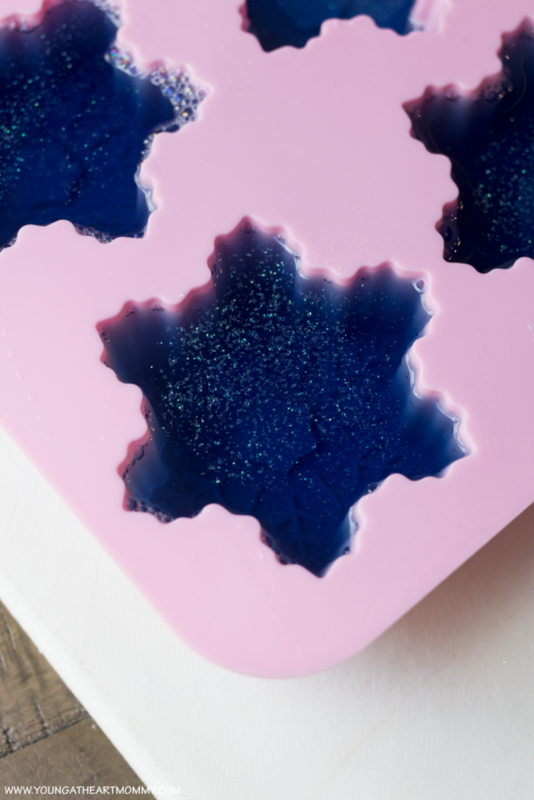 These fragrant blobs of jiggly soap will make the water blue and sparkly. Let their imagination run free by pretending they’re real snowflakes, created by Elsa! 1. Begin by boiling 2 1/2 cups of water. While heating, pour packets of gelatin powder in a medium sized bowl. 2. Carefully pour bowling water into the bowl, allowing gelatin powder to dissolve. 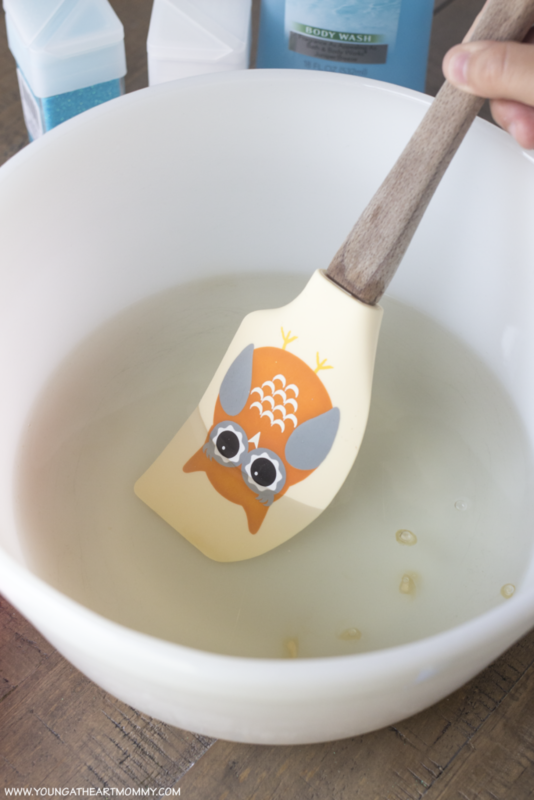 Stir continuously with a rubber spatula to ensure there are no lumps or chunks of gelatin left behind. If there are pieces that refuse to break apart, take a spoon and scoop them out. If not, your jellies may be bumpy and disfigured after setting. 3. 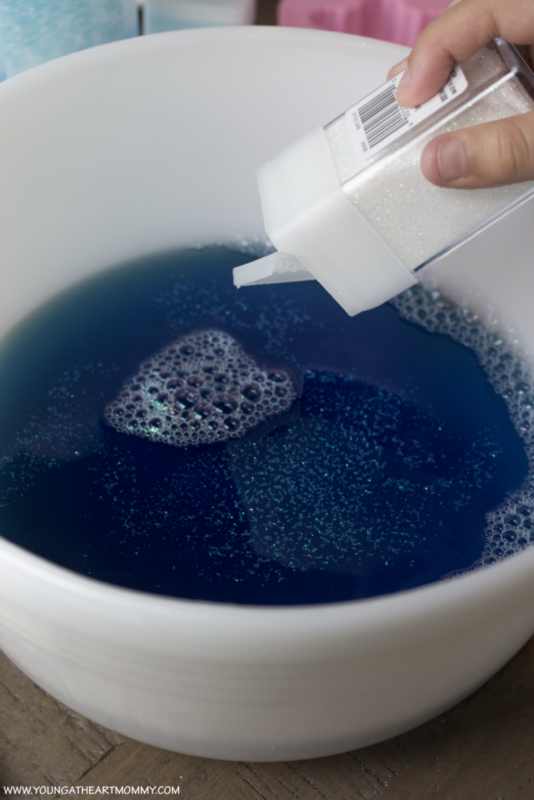 Add in 4-5 drops of blue food coloring and about half the bottle of soap. Mix to get it as smooth as possible. 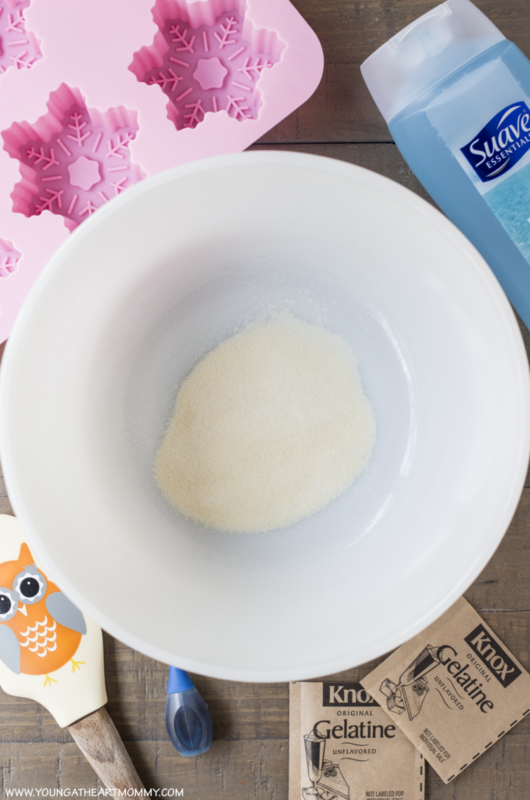 Sprinkle a generous amount of glitter into the solution and continue stirring until it distributes evenly. 4. 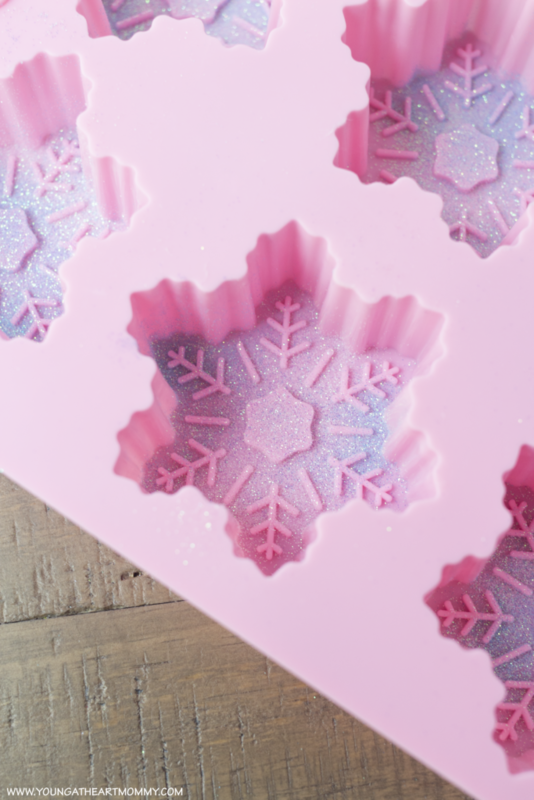 Also add glitter into each of the silicone snowflake molds for added sparkle on the top layer of your bath jellies. 5. This part can get messy so I suggest placing the mold on a cutting board or baking sheet so it can easily be transferred to the refrigerator. Fill each snowflake cavity by slowly pouring in the solution, as close to the top as you can without it overflowing. If you do it quickly, small bubbles will start to form and may affect the snowflake’s shape. Allow these to set for 2-3 hours, at least. The longer they’re in the cold, the better they will turn out! Pop them out when ready. The bath jellies are best used the same day but if you have a few extra, store them in the refrigerator so they can stay firm in the cold. While bath time is all about getting clean, it also provides an opportunity for parents to bond and connect with their children. Whether it’s in the morning before school or at night to prepare for bedtime, taking the time to chat with them can make their day. It’s a great time to encourage a little independence by allowing them to do the washing and combing. Give them products you know they will love and relate to so they can develop their own routine. You can find Suave Kids® collections at Walmart and Target stores. They have products for FROZEN fans and Star Wars fanatics. THESE. ARE. AMAZING. I think they would make great party favors at a Frozen party! My daughter would LOVE this! Frozen is her favorite movie of all times...well so far. She will totally enjoy this for bath time! Bath jellies are super popular right now, I wonder if there's a vegan friendly way to make these at home. 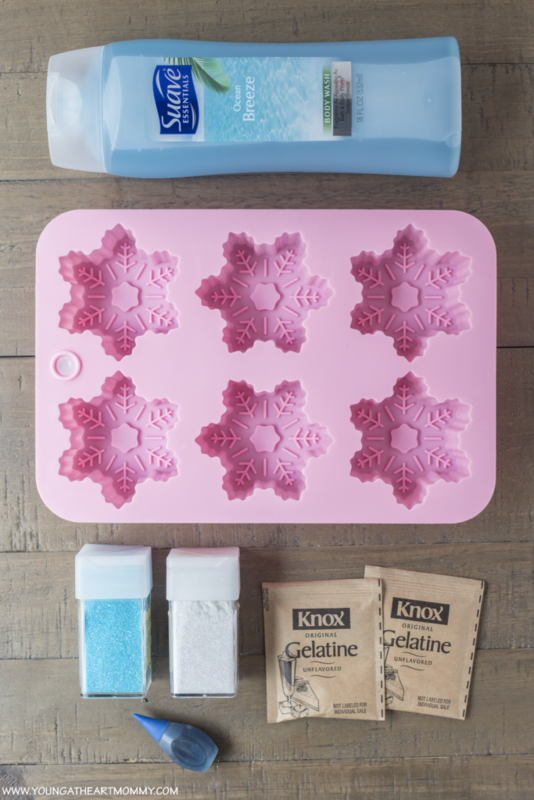 I just love this idea and these Frozen inspired products! 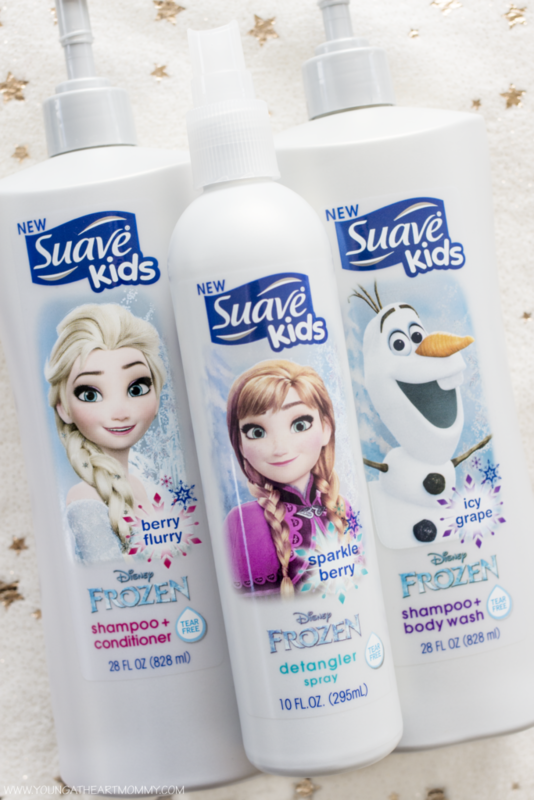 We love our Suave products as well and I have to say that Madison would go crazy for these Frozen bath jellies. Will have to give this a try. Just need to find the snowflake mold. Those are darling! My kids all went through stretches of hating baths. These would be motivating! Wow! I love that you add a little sprinkle to it! Suva products are really tested. These are amazing. Woah. These look incredible! I need to pin this to keep it in mind! Love this! How creative.